The London Classic Car Show returns to ExCel London on 14-17 February 2019 and part of its classic car auction, courtesy of the show’s official auction partner, Coys, will see a wide array of vehicles go under the hammer on Saturday 16 and Sunday 17 February, including stunning cars lovingly owned by celebrities Cilla Black and David Beckham, along with concours-ready classics from Aston Martin, Porsche and Maserati. 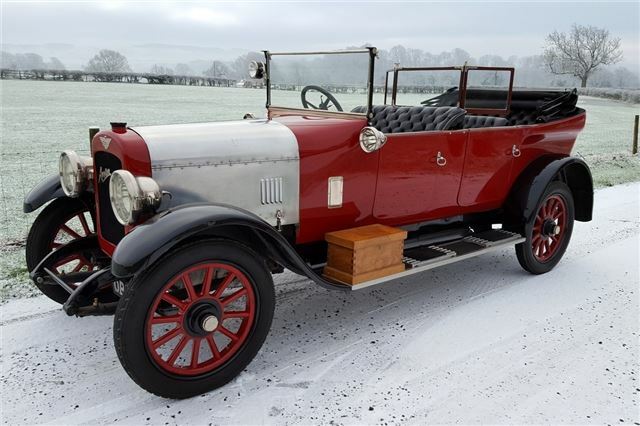 Driven by Edgar Wren as a promotional car to secure new orders of the 20hp model, this is a rare piece of British motoring heritage that was treated to an extensive restoration during the 2000's. I can imagine Harold sitting in the back working on his "pound in your pocket" speech.